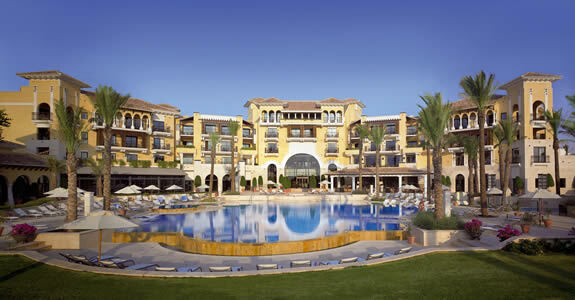 7 nights accommodation in a deluxe double/twin room at the Intercontinetal Mar Menor, with breakfast daily, and 5 green fees on your choice of Alhama Golf, Saurines Golf, El Valle Golf, La Torre Golf, Mar Menor Golf and Hacienda Riquelme Golf. 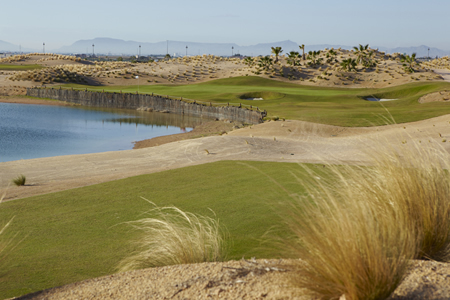 Free shuttle to/from golf courses (1 Feb-31 May/19). 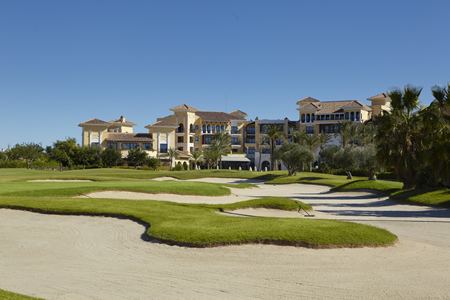 Located at the heart of Mar Menor Golf Resort and surrounded by the golf course this intimate hotel is noted for its traditional cosy style and relaxed atmosphere. The hotel has 64 spacious luxury rooms, 7 are suites, all with private balconies and large bathrooms that offer an independent shower and whirlpool bath. With 3 restaurants and 3 bars, the hotel also offers a full range of gastronomic options and entertainment including a traditional Irish pub. 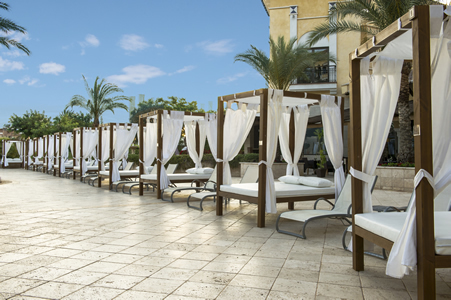 The luxury accommodation is complemented by the Spa which offers a thermal suite with revitalizing pools, sauna, steam room and lifestyle showers, a relaxation room, fitness area and a nice indoor pool. Moreover, an exclusive range of Spa treatments that combine modern techniques with ancient therapies. 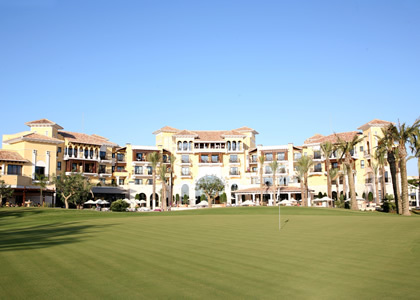 The hotel is surrounded by Mar Menor Golf Village an 18 holes Par 72 golf course, part of the Murcia Golf Experience Unique in Europe and one of Europe’s best golf experiences. 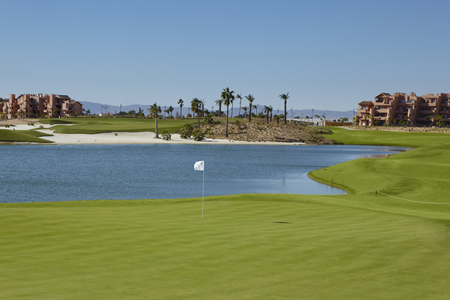 Especially recommended for: couples, foursomes, families, golfing groups, conferences. 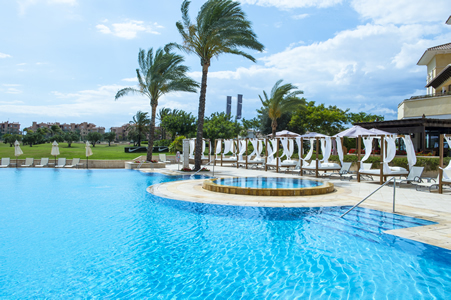 • A large terrace overlooking the golf course or pool complements the 55-square-metre (592-sq-ft) executive suites.